Thank you for your interest in Bunga Bunga – Covent Garden! 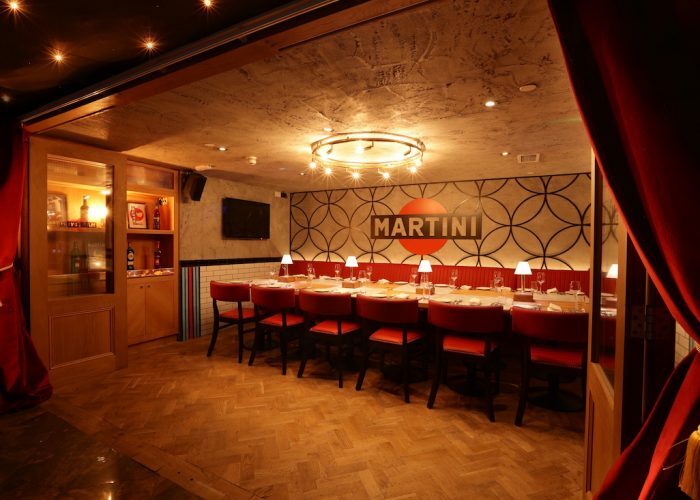 Accessed through the meat locker, Bunga Bunga Covent Garden’s Martini room offers the ideal space for anyone searching for something entirely unique for their private dining event. 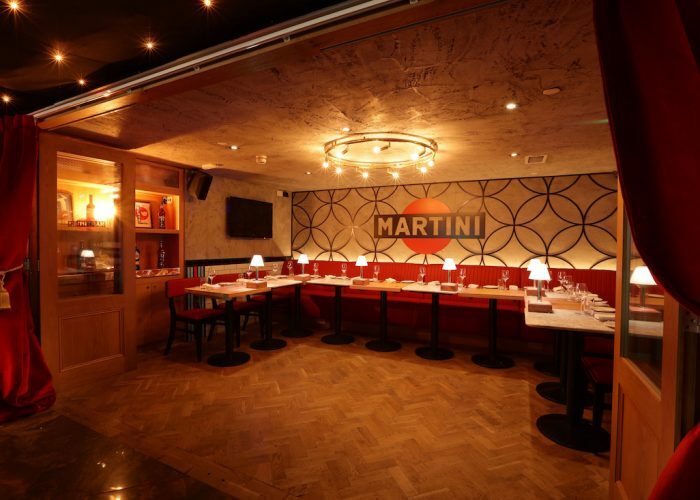 Based on Italy’s flagship brand, the room features Martini through the ages. 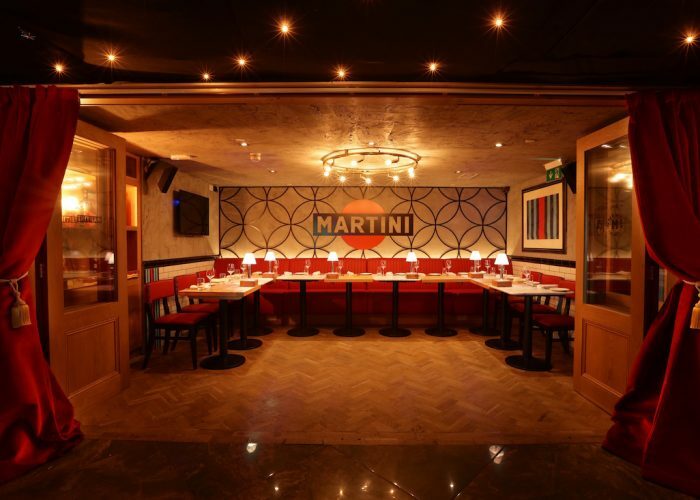 Our Martini room boasts large sliding doors, offering you the option to be part of the main room or enjoy total privacy. Located near Covent Garden, the restaurant comprises of a deliciously indulgent 6-course menu, featuring an exquisite range, from mouth-watering wood-fired Pizzas to Burrata e Pappa al Pomodoro. 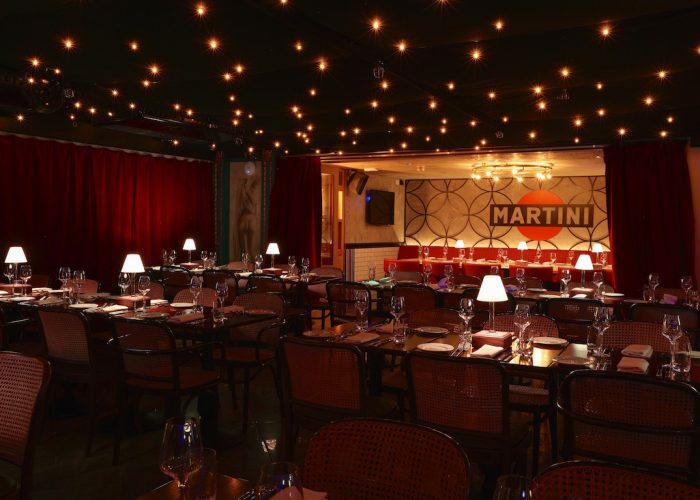 It is not only one of the best places to eat in London, but also offers some of the best and most impressive cocktails. With a live variety show and band, every Thursday – Saturday, ensuring one’s guests are entertained is utterly effortless. 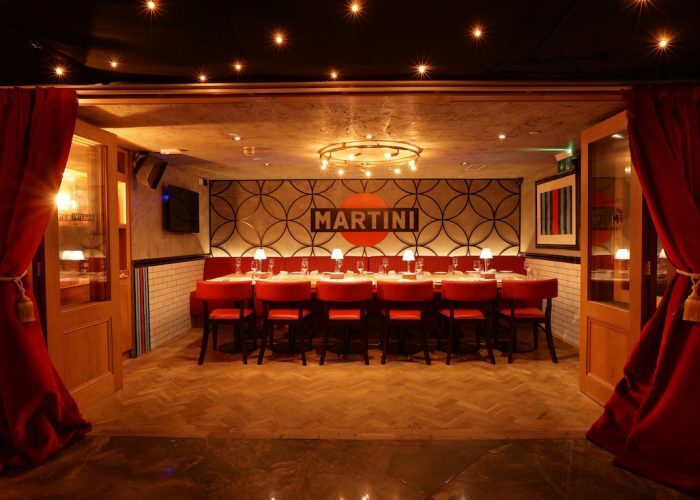 The Martini Room is certainly one of the best private dining rooms in London, in a venue that is inarguably one of the most immersive, entertaining and distinctive.